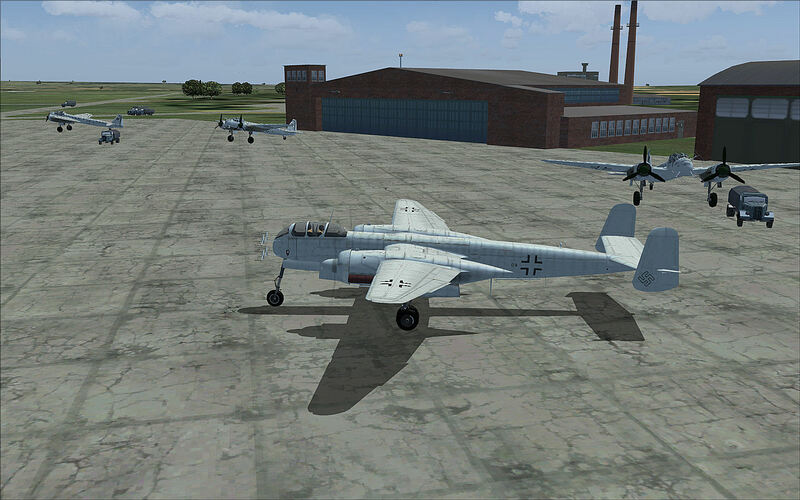 Description: An updated version of a Luftwaffe airfield scenery at Werneuchen, NE of Berlin for FS9. Updated to make it look more WW II. During the war it was a flying school, flight test centre and night fighter base.